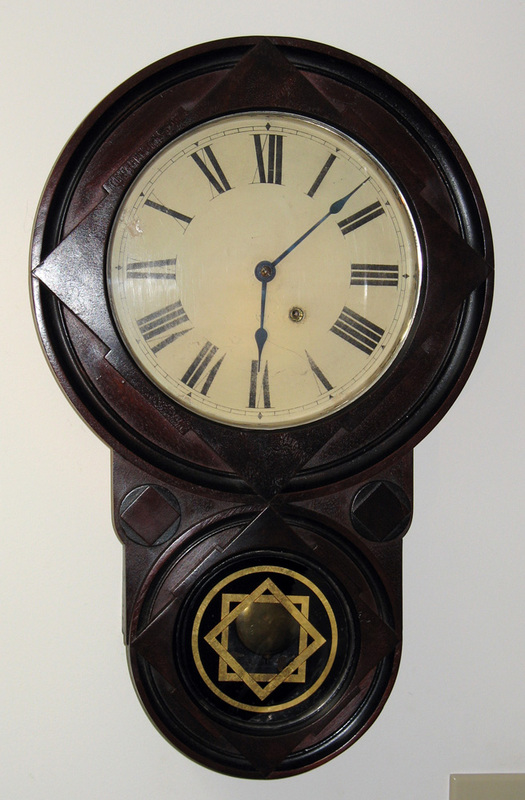 The most distinguishing feature of this rarely seen, beautifully crafted clock is the door: the dramatic geometric pattern surrounding the dial is repeated in the lower tablet for viewing the pendulum. This clock features an eight-day running, time-only, spring-driven movement. 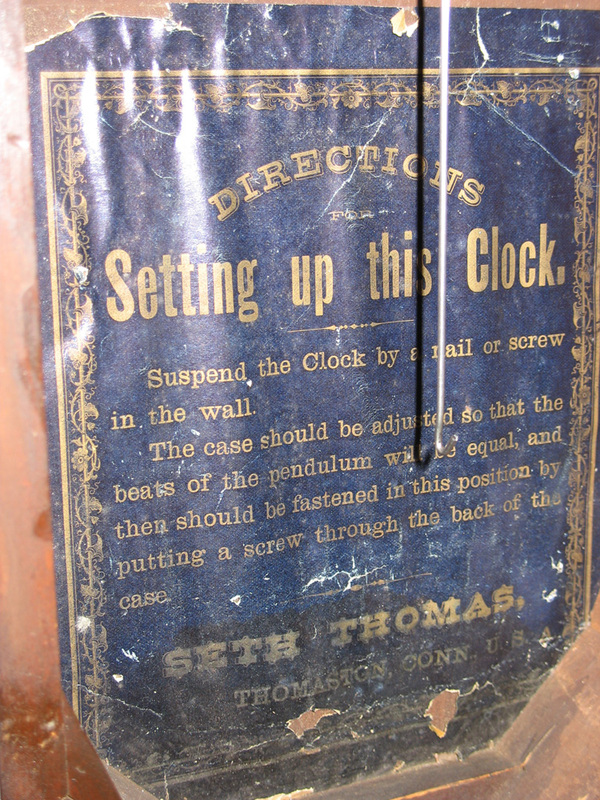 The movement is stamped with the Seth Thomas logo and is original to the case. The walnut case has been cleaned but is original. The veneer has only a couple of small repairs. 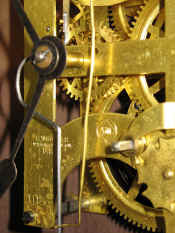 The clock retains its original case hardware and pendulum. 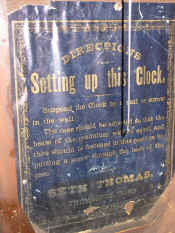 Also notice the excellent original label inside the case. The hands are original and correct for this model. 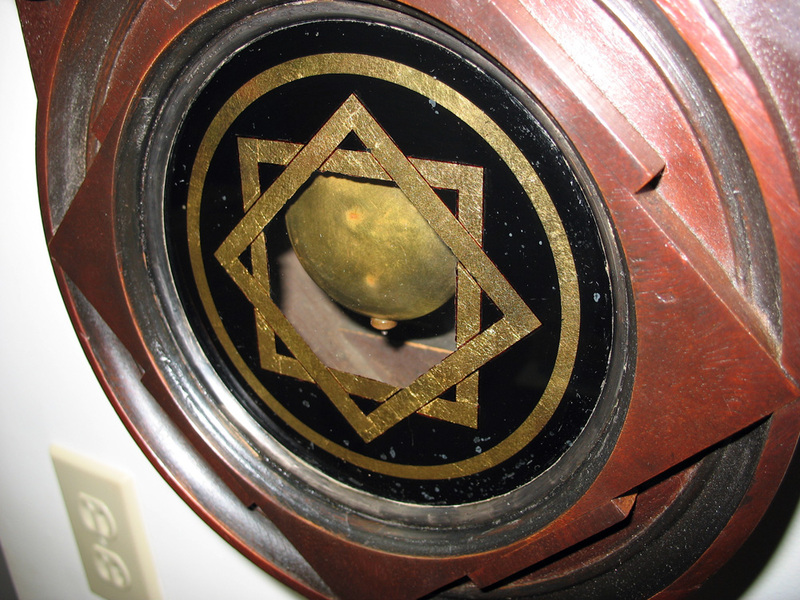 The zinc dial has its original painted surface with some fading of the Roman numerals. 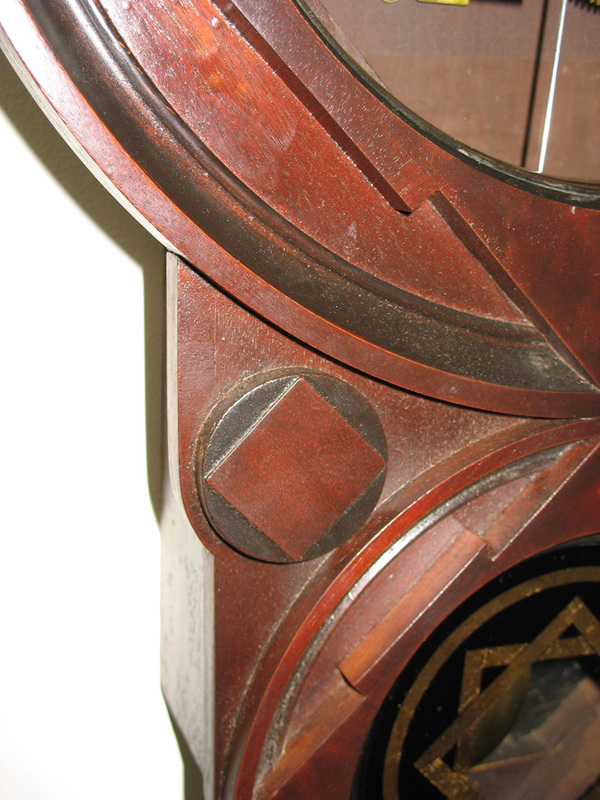 Some touch-up was performed on the outer edge of the dial. This work is rather old and is not noticeable except upon close inspection.